Southern River College > WHAT IS A USI AND DOES MY CHILD NEED ONE? Does my child need a USI? The Unique Student Identifier is a National Government initiative for all students from 1st January 2015. The student’s USI account will contain all of their nationally recognised training records and results completed from 1st January 2015 onwards. This will assist when they are commencing employment with a new employer or if they are commencing study with a new training organisation. For further information on what a USI is and how this number will affect your child please click here to download a fact sheet. 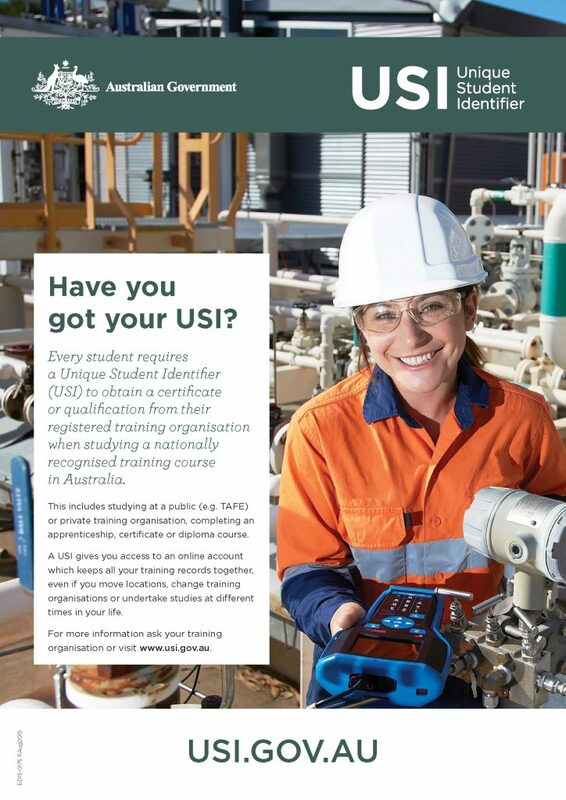 All students who are undertaking or considering undertaking a Certificate need to understand that it is mandatory for you obtain a Unique Student Identifier (USI) number. It is their responsibility to provide this to the Registered Training Organisation (RTO)….that is the agencies that provide the results for the qualification. Students who are applying for positions with TAFE/State Training Providers for after leaving secondary education will also have to get their USI number for their applications. Students who are not in this position will still need to get this number for next year. Southern River College cannot enrol student or give them results unless this has been completed and passed on to the RTO! Hand in a copy of the USI number to one of our staff at the VET Office in middle school.